Five Ways Red Beetroot Can Boost Your Health. Beets, or rather red beetroots, are incredibly beneficial to your overall physical health. They are a tasty, healthy addition to any diet and can contribute to your well-being. Introducing red beetroot to your diet can benefit you with both short term and long term health-promoting effects. Thinking About Adding More Beet to Your Diet? Here Are a Few Good Reasons to Go For It. Adding beetroot to your routine can increase your stamina, improve your brain function, promote heart health, help detox your body and can have anti-inflammatory properties. Of all the great ways beets can improve your health, daily or throughout your lifetime, here are five of the best. 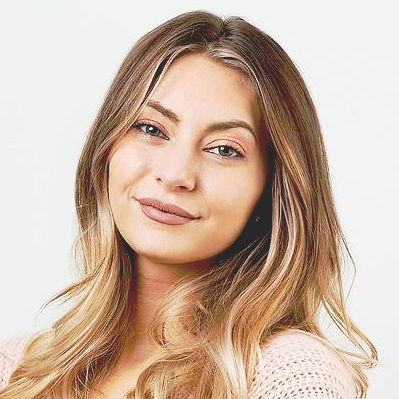 Health guru, yoga enthusiast and Voke editor. Did you know beets can improve your stamina and positively impact your health? Beets are packed full of dietary nitrates. These nitrates are converted in the body, over a series of processes, into nitrites or nitric oxide. Nitric oxide acts as a vasodilator which relaxes and dilates the blood vessels. Dilated blood vessels then allow for an increase in body oxygenation. This oxygenation improves blood flow and reduces both the oxygen cost and the physical toll of low-intensity exercises. In a high-intensity exercise, this process increases stamina through enhancing exercise tolerance. By introducing the advantages of beets to exercise we see a reduction in blood pressure, an improvement in physiological responses to exercise and an extended work out time until exhaustion. Nitrates also heighten the efficiency of mitochondria, the organelle in charge of helping create energy for our cells. Higher cellular energy means a positive increase in stamina throughout a work-out or a good boost in an afternoon. A study done at the University of Exerter's School of Sport and Health Sciences showed those consuming beet juice were able to cycle an average of 16 percent longer than those who were not. The men also had lower resting blood pressure after consuming the beet juice compared to the currant juice. As we get older blood flow slows and the oxygen supply to the brain decreases which can hinder brain function. Dietary nitrates from beets once converted into nitrites, can improve cognitive function greatly. With the dilation of blood vessels, there is an increase in blood flow to the frontal lobe of the brain. The frontal lobe, or prefrontal cortex, is associated with decision making, working memory, and higher level thinking. A healthy prefrontal lobe can improve planning and reasoning skills. Aside from being high in dietary nitrates, beets are full of vitamins and minerals that also contribute to neurological health and wellness. These beneficial vitamins and minerals which can improve brain health include folic acid or folate, fiber, and betaine. Beets are packed with fiber which is commonly associated with food digestion. A high fiber diet means fiber can be processed by the body to create butyrate to improve cognitive function. Betaine is an amino acid which aids in protein synthesis. Betaine is able to help to modulate and protect activity occurring in the brain, especially the activity in the hippocampus which is the area related to memory and learning. Beets are full of beneficial vitamins and minerals that can assist in neurological function, neuroprotection and cognitive performance with positive long-term effects surrounding the increase of blood flow to the brain. Research looking into the affect of nitrates in beetroot juice gave people a high beet diet for two weeks. MRI scans at the end of that study showed those who had higher beet in their diet had greater blood flow to their frontal portions of their brain - meaning more oxygen and nutrients reaching hard working brain cells. When it comes to heart health beets have many benefits. Due to the high concentration of dietary nitrates found in beets, beetroot has a blood pressure lowering effect. The dilation of blood vessels means blood can flow more easily and blood pressure is reduced. The regular introduction of beets to the diet can produce positive long-term effects such as lowering of blood pressure and a reduced risk of both heart attack and stroke. This provides an increase in overall heart health. Beets contain folate or folic acid, which is commonly known as vitamin B9, and betaine which promote heart health. Betaine is a naturally occurring nutrient found in plants, especially red beetroot. Betaine helps to prevent the buildup of an amino acid called homocysteine which can contribute to circulation issues and heart disease, and works as an osmolyte which protects against cellular dehydration. The benefits of long-term lowering of blood pressure and cellular protection contribute to lowering the risk of heart disease, heart attack, and stroke, making red beetroot a great addition to your diet. The trendy use for beets lately has been detox juices which can be just as delicious as beets are beneficial. Beets have many detoxification benefits for the body. They were traditionally valued for their detoxification properties since they aid in purifying the blood and liver. Beets can support liver function to make it more efficient as the liver works to process and eliminate toxins from the body. Beets contain phytonutrients in their pigments called betalains. The betalain in beets can aid in the detoxification processes, more specifically in phase 2 of body detoxification. They can help in binding molecules to broken down toxins so they can be more easily eliminated from the body. Betalains are also high in anti-inflammatory properties which help to encourage body detoxification processes. Additional cleansing properties include betaine and pectin which are both found in beets. Betaine aids in liver cellular detox. Pectin, a fiber, helps to clear out toxins that have been removed. This fiber aids in preventing the re-incorporation of these toxins back into the body. This can help improve your immune system as toxins are removed more easily. Long-term improvements of detoxification include overall physical health and perpetuated wellness. Beets help you detox and lose weight because they contain no fat and are a good source of dietary fiber — Half soluble and half insoluble. Inflammation and chronic inflammation are at the root of many diseases. Traditionally many people have turned to NSAIDS or nonsteroidal anti-inflammatory drugs to help handle inflammation and pain within the body. For continued use, NSAIDs can have negative long-term effects. A natural alternative to these anti-inflammatory agents is a diet high in unprocessed foods like fresh vegetables such as beets which can help to maintain lower inflammation. Beets contain betalains, a pigment and type of phytonutrient with high anti-inflammatory properties. Betalains and beetroot extracts have been emerging as powerful anti-inflammatory agents combating oxidative stress. Beets also contain betaine which as a nutrient works to protects cells, proteins and enzymes from environmental stress. It has been known to aid in fighting inflammation and has been associated with lower levels of several inflammatory indicators including C reactive protein. Research on beetroot and its anti-inflammatory properties has only recently been gaining momentum. The anti-inflammatory molecules within beets have the potential to be even more beneficial to other body systems under the progress of further human studies. [Betaine's]… presence in our diet has been associated with lower levels of several inflammatory markers, including C reactive protein, interleukin-6, and tumor necrosis factor alpha. As a group, the anti-inflammatory molecules found in beets may eventually be shown to provide cardiovascular benefits in large-scale human studies, as well as anti-inflammatory benefits for other body systems. Red beetroot is a vegetable with some rather surprising benefits that can help boost your health in a big way. There are so many advantages for your health by regularly introducing beets to your diet. Although this is just the beginning of the beet revolution, as scientific research continues we are sure to see even more positive beet benefits. Ready For a Great Brain Day? 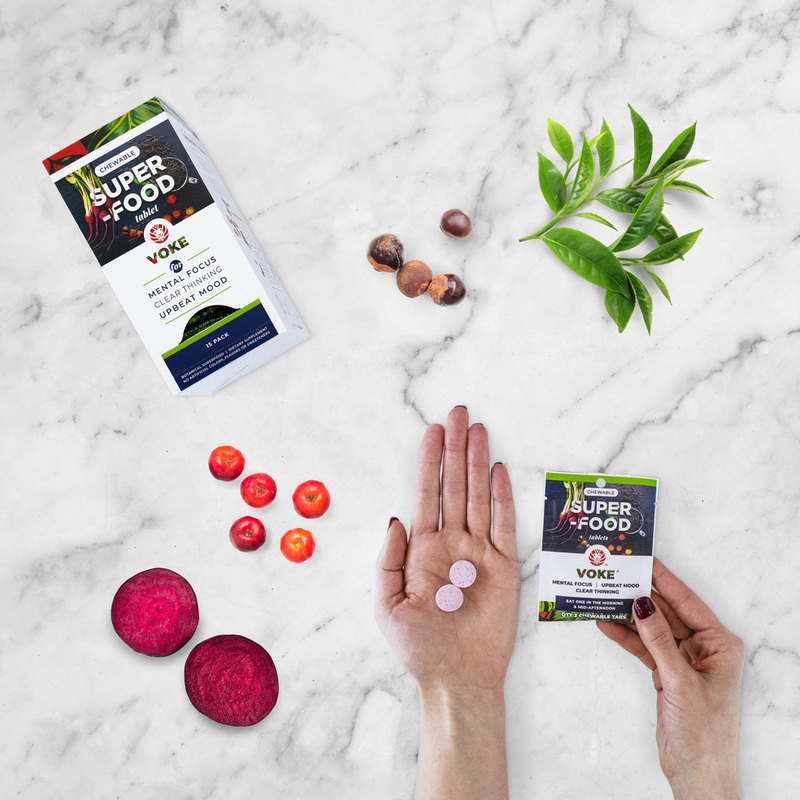 Voke Superfood chewable tablets use a scientifically supported blend of natural and organic red beetroot, raw guarana seed, acerola cherry and green tea leaf caffeine to improve mental performance, concentration, memory and mood. I'm Ready For A Great Brain Day!